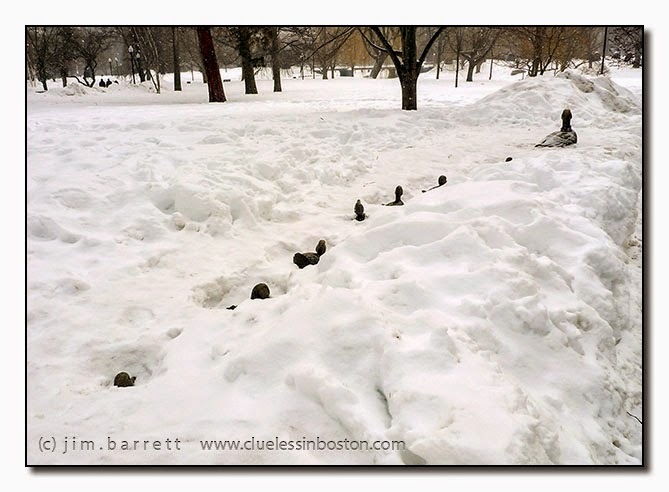 Another view of the ducklings without snow here. Wonderful capture. 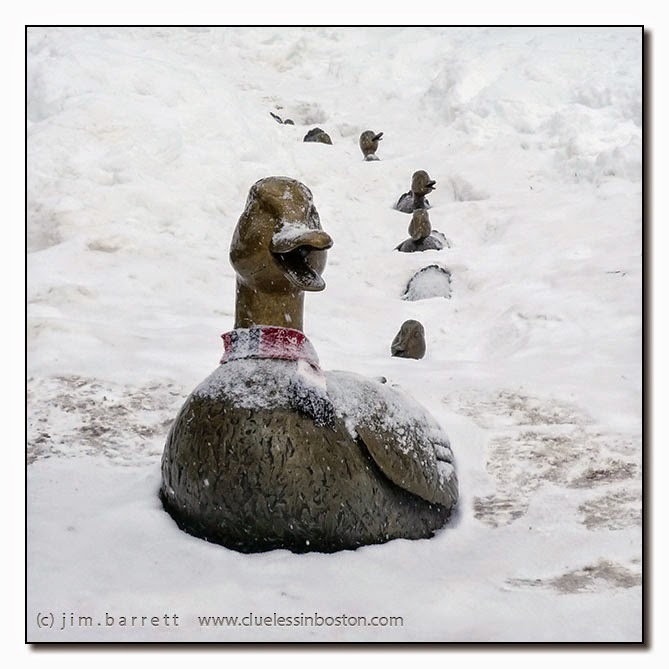 I wonder if the snow will be melted in time for the "Make Way For duckling" parade. nice ! snow, snow and again snow I see ! Wondering who dug them out! These photos were definitely worth the trip out in the cold. Thanks.